Mega Fortris Australia offer a range of plastic security seals, including Mega Fortris cash bag seals. Mega Fortris cash bags seals are individually numbered using laser engraving technology and can be customised with the logo or text of users’ companies. Various bar-coding options are also available. Mega Fortris cash bag seals are available either with ‘tear line’ or ‘no tear’ features. This choice allows users to apply or remove the seal without tools. 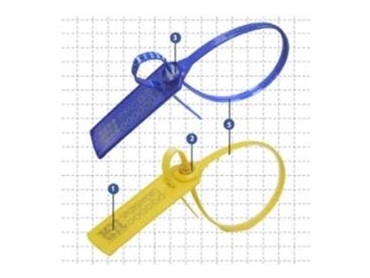 Mega Fortris cash bag seals are designed to use an addressable label or bag ID label, so users can be sure of the contents prior to removing the seal.